Alright! So here is a look I whipped up last night after looking at some nebula pictures. 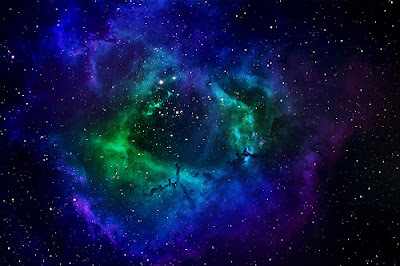 Nebulae are absolutely marvelous and are nothing but beauty. So, why not create a look inspired by them, right? I used rich blues, greens, and purple and a super sparkly lower lashline to represent the stars of the galaxy. OMG RONNIE!!!!!!!!!!!!!!!!!!!! You look absolutely stunning!! This is just so beautiful on you!! I really REALLY love the colors!!!!!!! I want to do this now! hahaha!! :D You can do anything with that eyeshadow woman! I love it. Perfect given the inspiration! This really is beautiful. 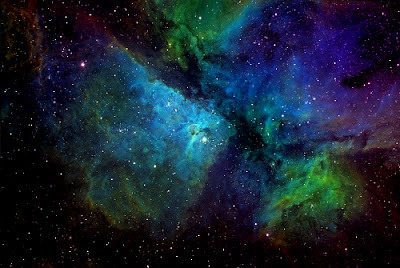 Your inspiration pictures remind me of the scene in Angels & Demons where the antimatter explodes in the sky. LOL! Random, I know. But the colors you picked go together perfectly. The glitter was a nice touch. This really is a beautiful look! I can't wait to try it out! I love this look, you are so talented and beautiful!! Very pretty look! Love the picture you used for inspiration! once again you are amazing!!! you should really start making tutorials, please!!! I was looking at another blog I follow and I noticed your stunning eye shadow picture in her blog roll, so I just had to come check out your blog. This look is amazing. STUNNING! The colors and application is flawless. I am so jealous! New follower by the way! This is very pretty, also kind of reminds me of a peacock a little bit as well. The green really makes your eyes pop a lot. Very creative idea with the gif as well. I'm a new follower :) You have amazing talent! This look is gorgeous...I definitely will give this a try! Wow, so pretty!! Wish I could rock lashes like you do! Hello Ronnie, new follower here :) I don't even know what to say, this is very beautiful. I really love ur work; so inspiring! What a gorgeous look. I love the colours you've used. You are so beautiful and this look is absolutely stunning! I'm so glad I found your blog, the looks you create literally take my breath away! 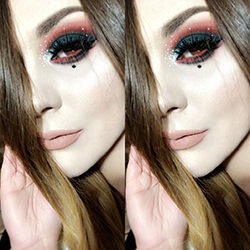 you have crazy blending skills ... i love how you can use several colors but not look clown-ish ... there are other well-known youtubers who look a bit overdone when they use a ton of colors ... but this look is amazing! really nice look, you should be proud of yourself. and i loved how you had blue on the waterline, it got to another level than it would have been with black! This look is awesome! It will be great for summer party time. Beautiful! 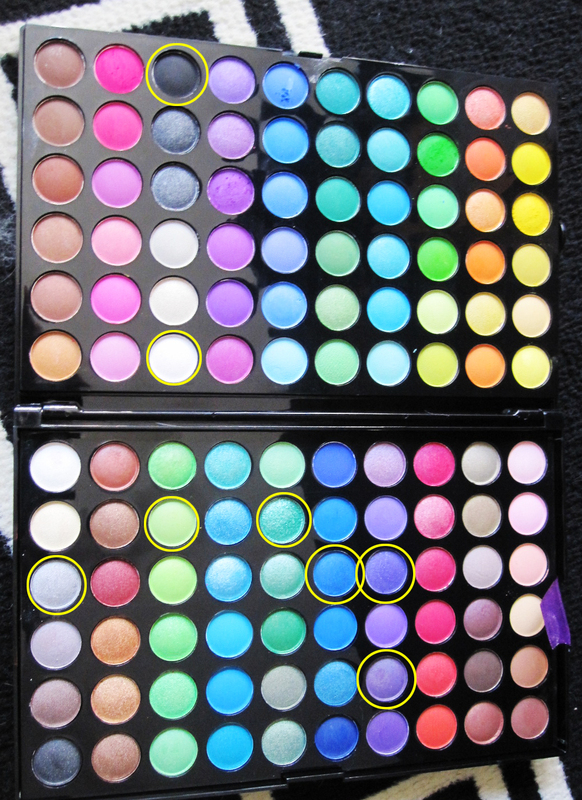 It's a really nice and colorful makeup, the truth is very reminiscent of the images that you've inspired. Regards, "besiños" of Spain. AWW! I'm happy you all enjoyed this! I honored <3 THANKS!! can you please do this tutorial? i've been dying to achieve this look but i can't get the same or almost the same result as you did. Could you possibly load a step by step tutorial of how to do this? I'm terrible with make up, and REALLY want to learn! This look is absolutely beautiful and I can't wait to give it a shot! I actually filmed a tutorial of this look not too long ago, but my lighting made me look like super yellow and washed out the colors a bit. I'm thinking of uploading it soon. :) And thank you! Loving the palette of eyeshadows, where can you purchase these?